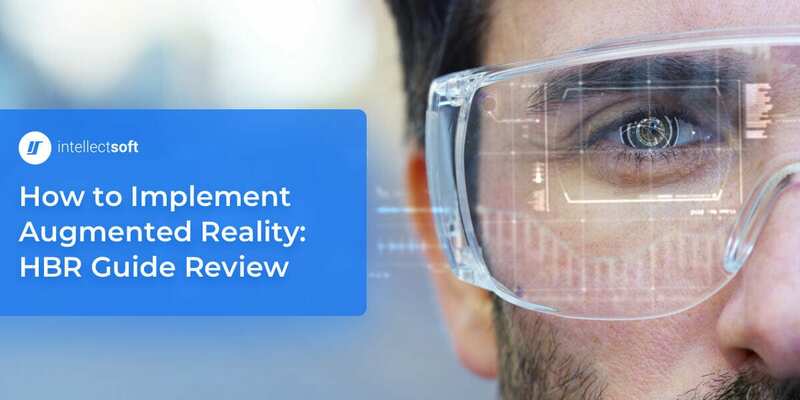 Internet of Things (IoT) technology might not astonish anyone like Virtual or Augmented Reality does at first glance, but its potential is more far-reaching for both consumers and businesses. Coupled with cloud and other technologies, IoT connects devices big and small to transform products, operations, and entire businesses. How does it happen? We selected IoT software development examples of different scale from our own projects to show the impact of IoT in detail. Let’s see how a luxury hotel chain, vending machine provider, and retail solutions company added the prefix “smart” to their businesses. Before exploring the cases, let’s stop at the types of IoT software development and solutions for valuable context. They range in scale, complexity, and enabling hardware. Embedded software development involves creating software that would control other machines or devices. Examples of embedded software development applications include smart hotel systems where guests can use a tablet to control room amenities; next-generation vending machines with tables; interactive displays; and smart car systems. Firmware development for Android. IoT development solutions like a smart room tablet, vending machine, or interactive display need their own Android firmware. This allows for building a custom launcher, connecting external sensors needed for a given solution, enforcing custom security policies, porting the latest Android OS, and enabling over-the-air updates and device monitoring. Indoor & outdoor navigation systems primarily involve beacon technology and mobile devices. 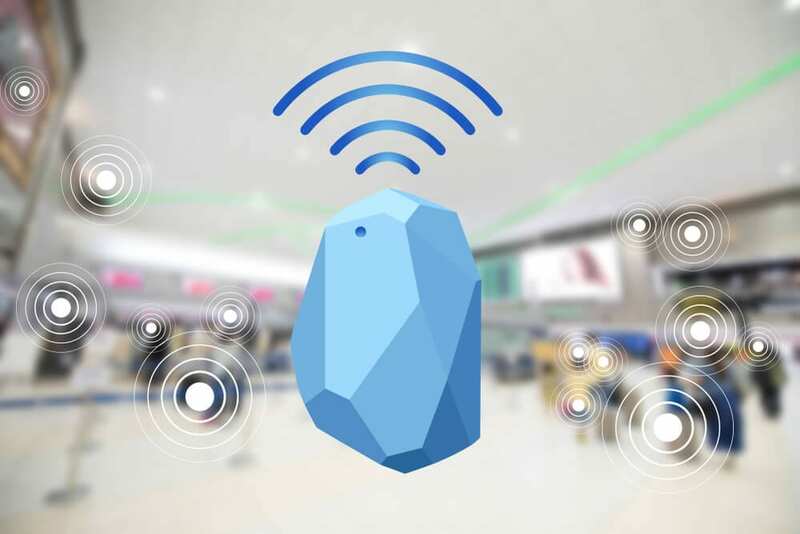 Beacons are small devices that send messages via Bluetooth to mobile devices, providing navigation, contextual experiences (for example information about a location an individual just entered), as well as ads and critical notifications. Industrial IoT solutions. This solutions allow enterprises monitor operations with sensors to gather various types of data, inform about inconsistencies and emergencies, and get a wholesome view of operations. Enterprise IoT solutions combine different types of IoT software development and hardware in scalable IoT ecosystems. Custom IoT solutions — solutions built from scratch for specific purposes or as a product. In their first experience of outsourcing software development, an award-winning Asian hotel chain turned to Intellectsoft for a smart hotel system for its new, ambitious luxury hotel. The system would have a tablet app that allows guests to control amenities, access resort information, and drive sales. The project involved embedded software development and Android custom firmware development. Challenge. The company’s new hotel offers a range of suites of different size, from multi-bedroom suites to two-story villas. 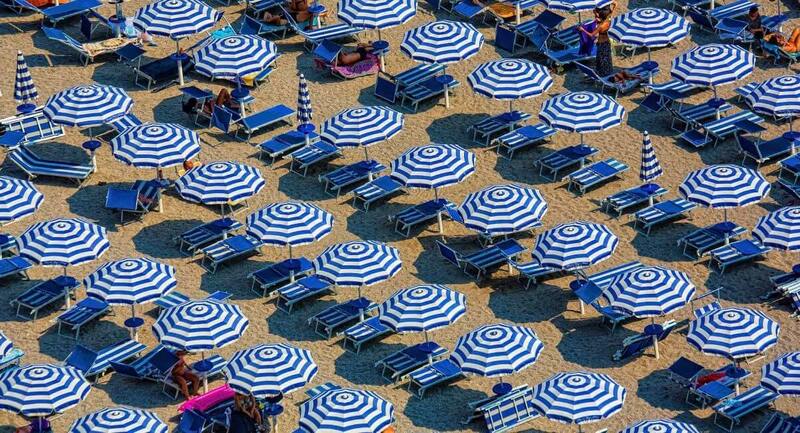 Each of them has a different set of amenities. We needed to create a universal tablet experience that would adapt to suite type and extend the chain’s unmatched hotel experience to the tablet. Solution. Our team created an Android app with pre-set designs for each suite type. 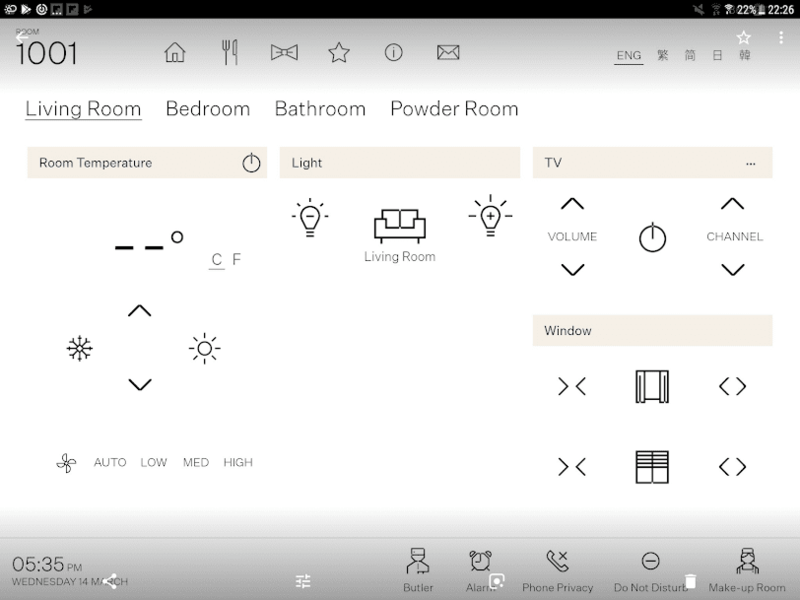 In eye-pleasing and uncluttered UX, guests can control light, air conditioning, windows, TV, and media devices in all rooms. They also can use the app to order guest services, chat with stuff, receive notifications, and access important information (restaurant and in-room menus, entertainment, flight schedules, and other). Impact. Regardless of scale, successful IoT development requires the right expertise and effort. After working closely with the client on and off site, our smart hotel solution ensured a smooth opening day for the client’s one-of-the-kind resort and became essential to the hotel experience. Our partnership continues in Internet of Things development (beacon technology) as well as extending to solutions with other tech. Whether it is a scalable Industrial IoT ecosystem or a solution of a much smaller scale, Internet of Things development often provides a foundation for a business. Our solution for Californian vending machine provider is a handy illustration of that. Challenge. The company provides offices around the U.S. with healthy food from local brands in smart fridges. Aiming to make the user experience as simple as possible, the company approached Intellectsoft to elevate the existing solution further up. The new solution also needed to have smooth integration with card readers and RFID antennas. In other words, the company’s smart fridges needed to be a perfect example of what a frictionless user experience is. Solution. 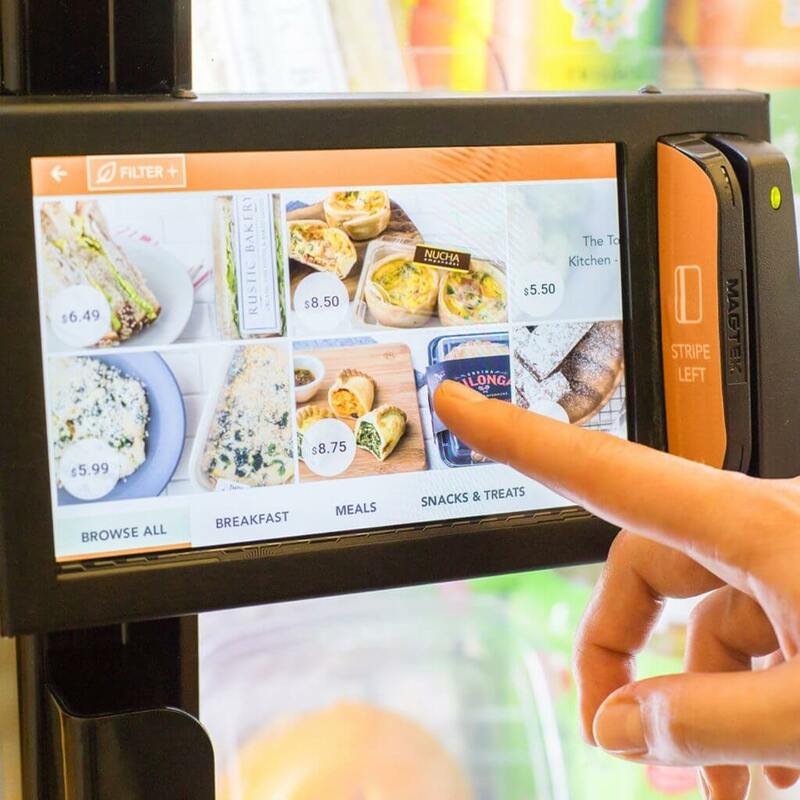 Our designer team put together a questionnaire, dived deep on the subject of vending machines and how they work, and explored cases when tablets were used with hardware in the client’s niche and similar markets. Our team’s work resulted in Android tablet solution with unique, three-step UX: a user chooses a food item, swipes their card, and takes the item out of the fridge — as simple as that. The software engineers on the team ensured the simplicity and speed by establishing fail-safe communication between the system, the card readers, and the RFID tags. To speed up the UX further, the solution involved no third-party software onboard. As embedded system software development allows for remote monitoring and over-the-air updates, the company could always manage their fleet of fridges and ensure the tablets are consistently updated. Impact. Over the years, the result of our Internet of Things development continues to be a reliable foundation for the company’s business. Our partnership continues to this day. As beacons started emerging several years ago, the retail industry was first in the queue to implement them. Hidden from plain sight, these small, cost-effective devices were set to help retailers breath new life into the in-store experience along with mobile apps. Right at that moment, a company specializing in IT solutions for retail got in touch with Intellectsoft for an indoor positioning system and Internet of Things software development. Challenge. The solution needed to locate the user on premises and supply them with promotional information. The GPS option was excluded. Solution. As Beacons rely on Bluetooth technology, the devices were the perfect fit for the project. We designed an indoor positioning system were beacons are strategically placed to accommodate the user experience and drive sales. To make everything work, we added a mobile app to the equation. Our IoT software development efforts result in an Android app that allows users create and modify shopping lists with details about the products they are interested in, like name barcode or product category. 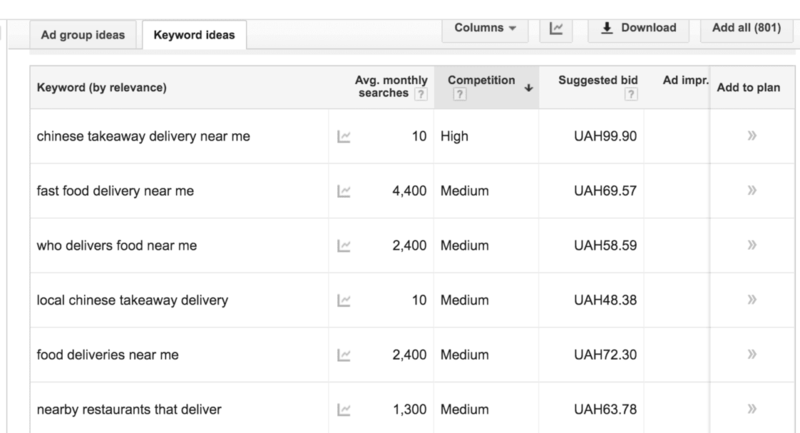 While creating a list, they can take advantage of prior history, auto-suggestions, loyalty cards, product searches, and favorites. As a result, beacons and app pairing can be used to send location-based individual offers to shoppers: when a user approaches an item they could be interested in, a beacon sends a notification to the app. Impact. As beacons were only emerging back then, our solution gave the company and their clients an edge over competition. The beacon-based indoor positioning system supplied customers with individual notifications, opening up new marketing avenues for retailers, driving sales, and adding value to both customer and in-store experience. Despite the scale and type of solution, Internet of Things software development can become a solid foundation for a business or a separate operation. Coupled with mobile and other technologies, IoT allows companies to solve existing issues, deliver new experiences, and continuously drive sales. From industrial IoT applications to custom products with Internet of Things at their very core, Intellectsoft will continue examining the cases with technology in upcoming posts. Follow us on Facebook to stay informed. Need an impactful and reliable IoT solution? Get in touch with us.